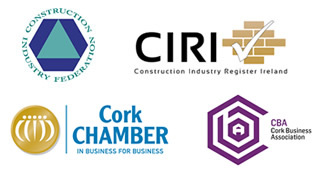 RJ O’Brien Building Contractors Ltd. supports Enterprise Irelands drive for Corporate social responsibilities. Ireland’s National Plan on Corporate Social Responsibility 2017-2020, retains the vision established in the first National Plan on CSR that “Ireland will be recognised as a Centre of Excellence for responsible and sustainable business practice through the adoption and implementation of best practice in CSR in enterprises and organisations.” Toward Responsible Business is an action-orientated plan with 17 actions aimed at supporting businesses and organisations of all sizes and all sectors to adopt responsible business practices. Advocate and support relevant policy priorities across Government Departments and their agencies, specifically those which complement CSR, including implementing the Sustainable Development Goals, Business and Human Rights, Healthy Workplaces Framework, etc. RJ O’Brien Building Contractors Ltd. is a family run business that has a very high value in the community of County Cork. We are proud to help support our local GAA club Ballygarvan GAA Club with pitch side sponsorship. We also try to help out with local charities such as Marymount Hospice and Make your Mark on Cancer along with many more. We help annually through sponsorship with local community events. We, at RJ O’Brien Building Contractors Ltd. are advocates in green building practices and environmental responsibilities. Green building (also known as green construction or sustainable building) refers to both a structure and the application of processes that are environmentally responsible and resource efficient throughout a building’s life-cycle. From planning to design, construction, operation, maintenance, renovation, and demolition. This requires close cooperation of the contractor, the architects, the engineers, and the client at all project stages. Our business plan includes a commitment to help refocus the construction sector and customer to lean more favourably in this direction. We are committed in protecting natural resources that have been taken for granted by the construction sector in the past by reducing our environmental footprint. RJ O’Brien Building Contractors Ltd staff are fully aware of the long-term advantages in reducing our environmental footprint. A list of procedures on how to help reduce waste materials and how to recycle building materials is available to help minimise all waste output. Energy, water, packaging and solid waste are areas where we can make the biggest impact. Our vision is to reduce our existing output and usage by an additional 60% before 2020. In 2016, the CIF (Construction Industry Federation) suggested a range of solutions pertaining to the usage of Article 27 and the ‘end of waste’ processes that could declassify certain material as a waste. These matters have not yet been resolved but are being discussed and a resolve is to due shortly. To further facilitate these implementations, we have established a waste management procedure for each site project. This will be included in the Safety & Health Plan. These procedures are always evolving and changing to improve on existing actions. We endeavour to maintain the highest environmental standards in all our activities. We have a strong dedicated and loyal team that has been a major contribution to the success of our business over the years. All our staff are fully trained and competent to undertake their required duties. We are firm believers in further education and encourage all staff members to take on new studies or training. A minimum of 20 hours of CPD per annum is a mandatory for all staff. Looking after the health and wellbeing of our staff directly contributes to the delivery of quality care and finish. Tools and resources are available to help support and further embed health and wellbeing in our staffs work day. Workplace health and wellbeing is a state of being for each employee and employer which enables each individual to reach and maintain their full potential in the workplace by ensuring their work ability through the promotion of mental, physical, emotional and psychological health and wellbeing. We wanted to find a way to harness this enthusiasm for wellbeing and provide a clear framework to help make our workplaces happier and healthier. A wellbeing policy is in place to help employees fulfil and maintain their full potential in the workplace.